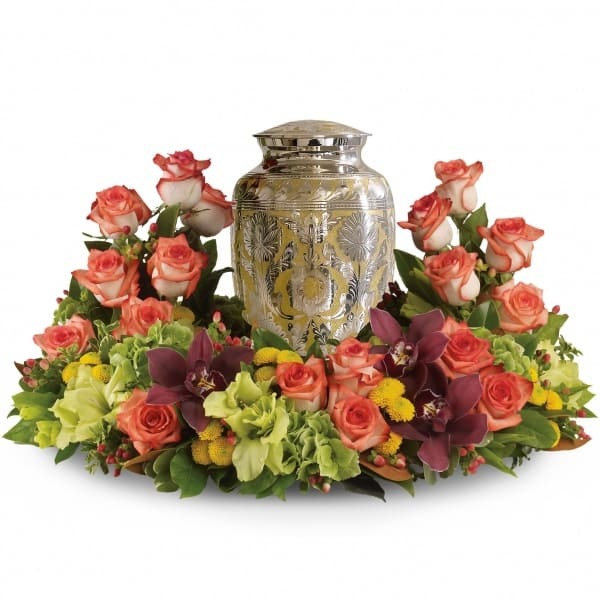 A rich and subtly hued garden expresses sympathy most thoughtfully, in a gentle oval arrangement that honors and embraces a cherished memory. 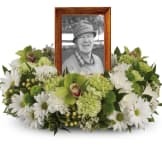 This wreath is a lovely way to honor those memories. 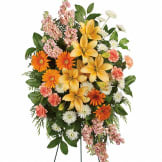 • Orange roses blend with other beautiful flowers such as stems of cymbidium orchids, gladioli, chrysanthemums, hypericum and other delicate greens. 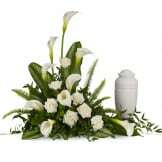 • This arrangement will be hand arranged and delivered by a local florist. • Can be sent by family and friends. • Appropriate to send to the funeral home. • Wreath measures 26" W X 16 1/2" H.
All of our flowers are designed and delivered by hand from a local florist in in Hoopeston.